You are invited to join us at 9:15 a.m. on the Third Saturday of every month In the Community Center! 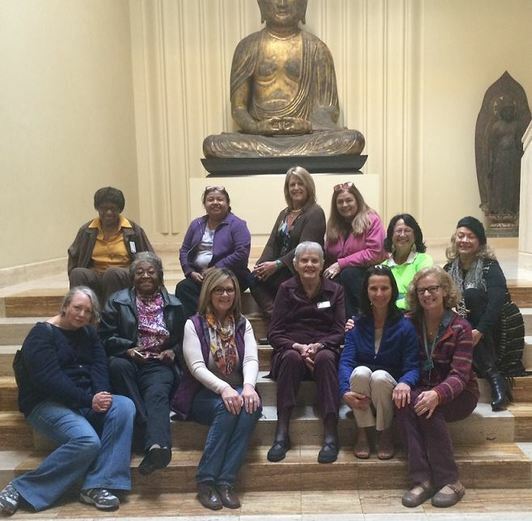 Organized in 2007, the goal of the Sisters of Myrtle Fillmore is to be of service to the community we serve while at the same time deepening our own spiritual growth and understanding. If we may be of service to you or if you would like additional information, please contact the Chapel Office. Buy one for $12 or two for $20. Proceeds go to sponsor Sisters of Myrtle events that support the Chapel community.